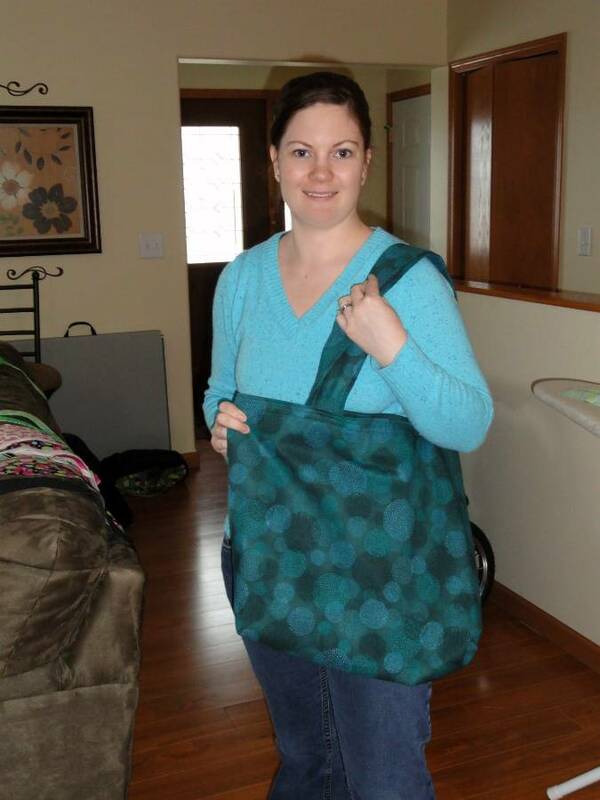 This bag was our most recent giveaway prize during the feeling lucky WOM-MOM competition. You are going to love it! 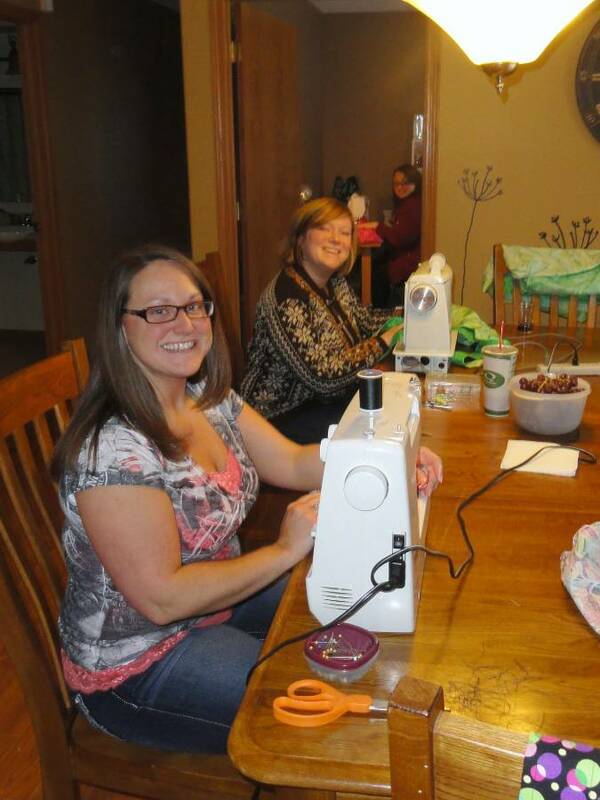 Two weekends ago, under the direction of my friend Crafty Katie, several coffee club girls (future post) got together to make crafty grocery bags. 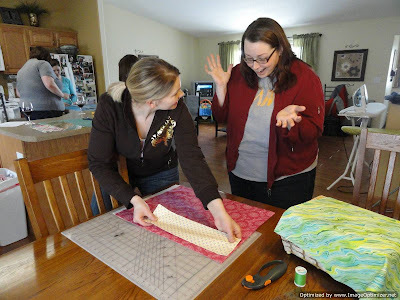 I love using reusable bags (and not plastic bags from the store), but sometimes the reusable bags aren’t the most stylish…that’s where this craft comes into play. Crafty Katie found a great pattern for these bags. They are fun, simple, and even better hand-made. The best thing about this project is that we did it as a group—it was a great way to spend a Saturday. The following are instructions to make two bags. Cut your bag fabric. 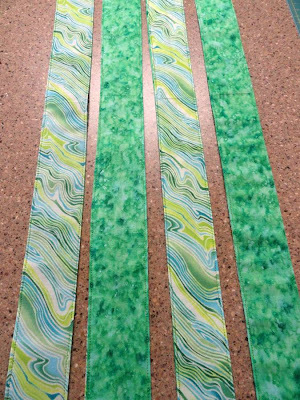 Cut four 4 x 30 inch strips (2 of one fabric and 2 of the other fabric). Reagen is suprised by how easy this is! 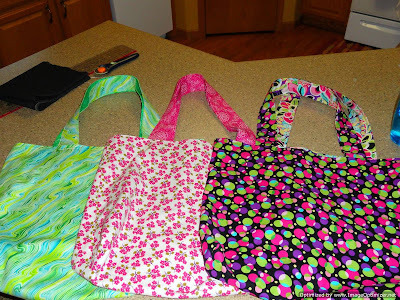 Cut the remainder of your bag fabric. Cut four 21 x 38 inch strips (2 of one fabric and 2 of the other fabric). ﻿﻿ Cut your handle lining (denim). Cut four 2 x 30 inch strips of denim. All seam allowances are ½ inch. Fold 21 x 38 inch lengths in half to 21 x 19 inch right sides together. Sew side seams. Press to one side. 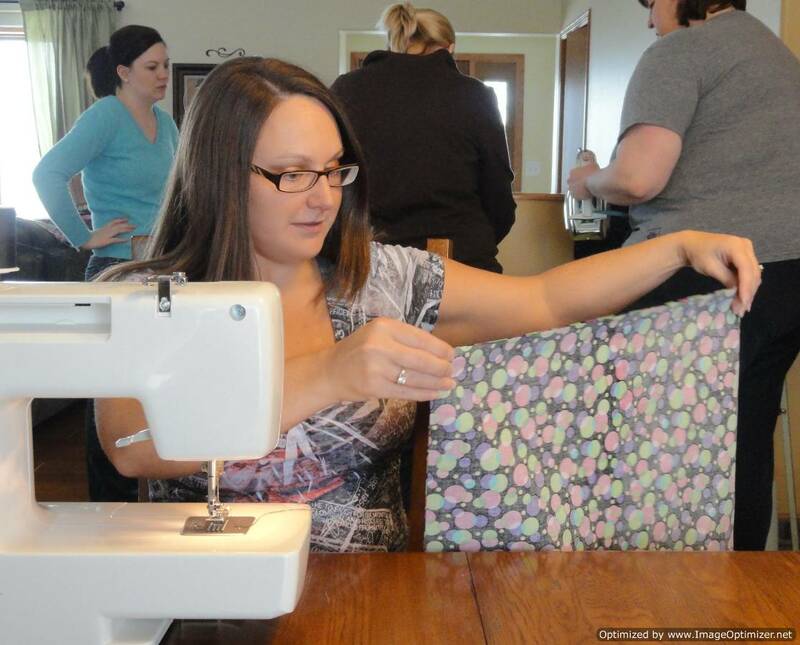 Karla getting her fabric ready to sew. Box bottom corners of each bag. 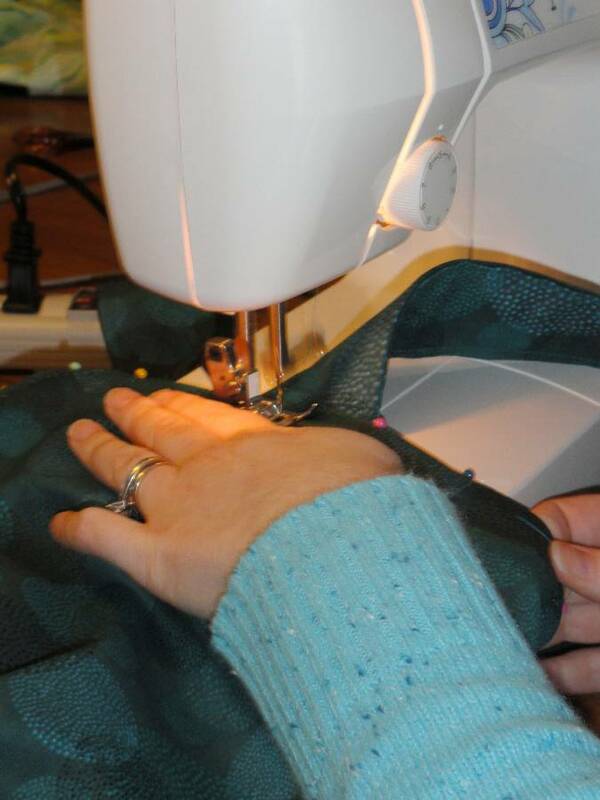 Fold side seam flat to align with bottom fold of the bag. 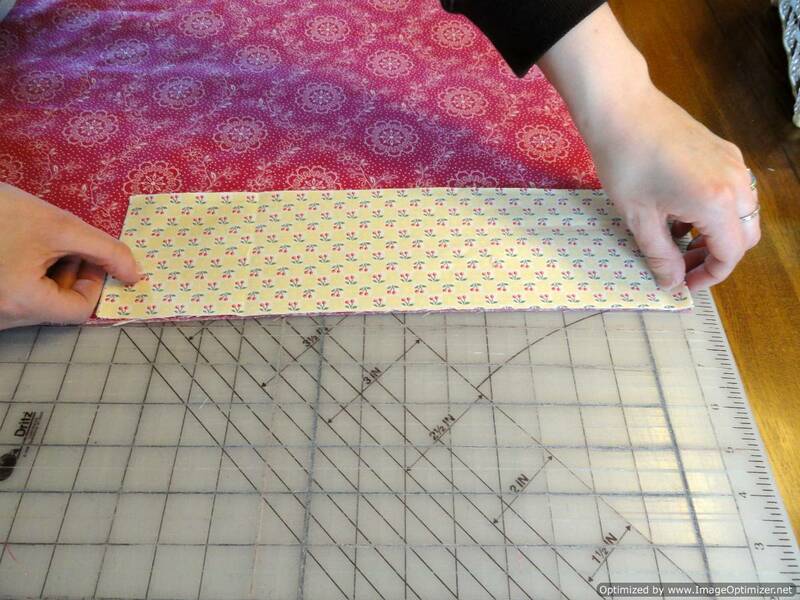 Measure in two inch from the point and sew across the corner. 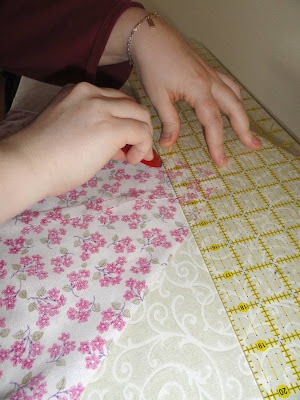 Repeat on opposite side and on the lining. Trim the corner off. Measuring and marking the corner. On both bag sections, press top edge under 2 inches all around to the wrong side. Place denim in center of 4 x 30 inch strip of fabric. Fold fabric over jean and press. Place 2nd piece of 4 x 30 inch strip of fabric on top for fabric covered denim and fold over to match underneath handle and press. Assemble the two pressed handle pieces so that the raw edges are inside the handle. Top stitch both sides of the handle. 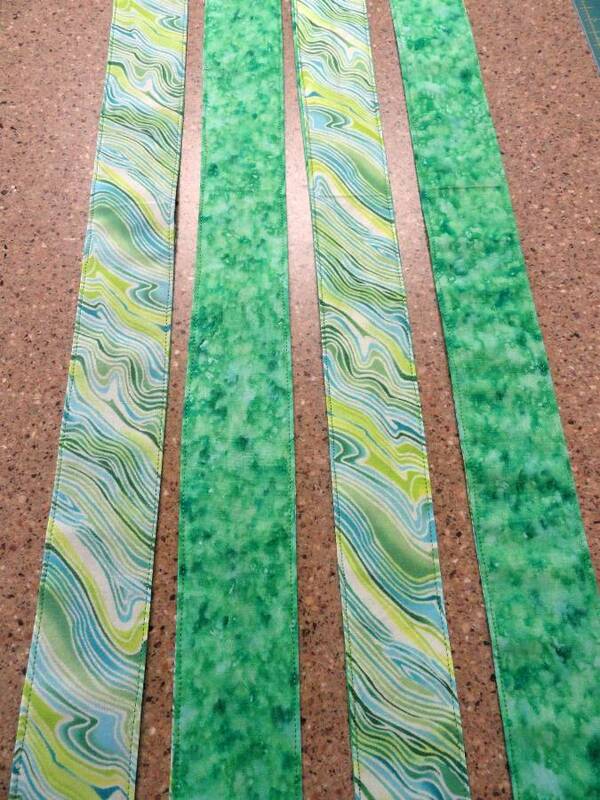 My "green" handles are ready to attach to the bags. Turn 1 bag section right side out and place lining section inside bag wrong sides together. Match up and pin the side seams together. Measure in 4 ½ inches from each side for handle placement. Insert handle 2 inches into bag. Top stitch around the top edge. 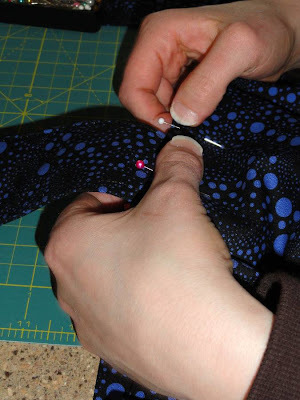 Make a second row of stitching ½ inch to ¾ inch down from the top row. 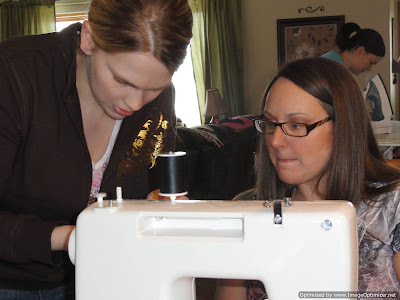 Sewing the handles in place. Voila! What a FAB craft and a shout-out to Crafty Katie for bringing the coffee girls together for a craft party! 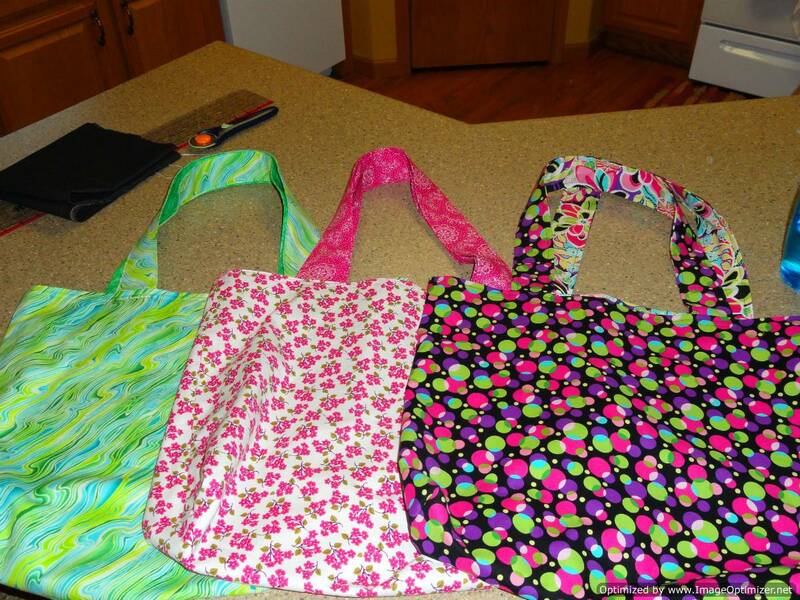 Our crafty bags. The green "feeling lucky" bag is on the left. THRIFTY TIP: Some stores offer additional discounts for using re-usable bags. Always ask! You never know when you can save a little. 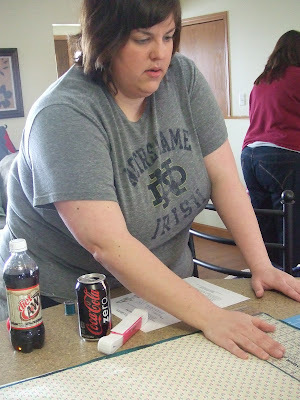 Thanks for the fun afternoon Lori! I hope you have enjoyed using your bags as much as I have. You should help out some 4-H girls with your projects....you always had such great stuff :) This would be a great project for a craft fair!